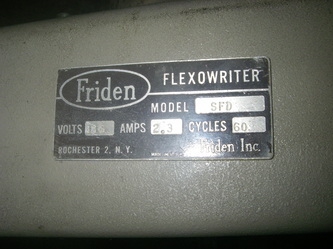 Friden Flexowriter SFD (Systems Flexowriter Double-case) is able to type/punch / read upper and lower case letters and characters in code. 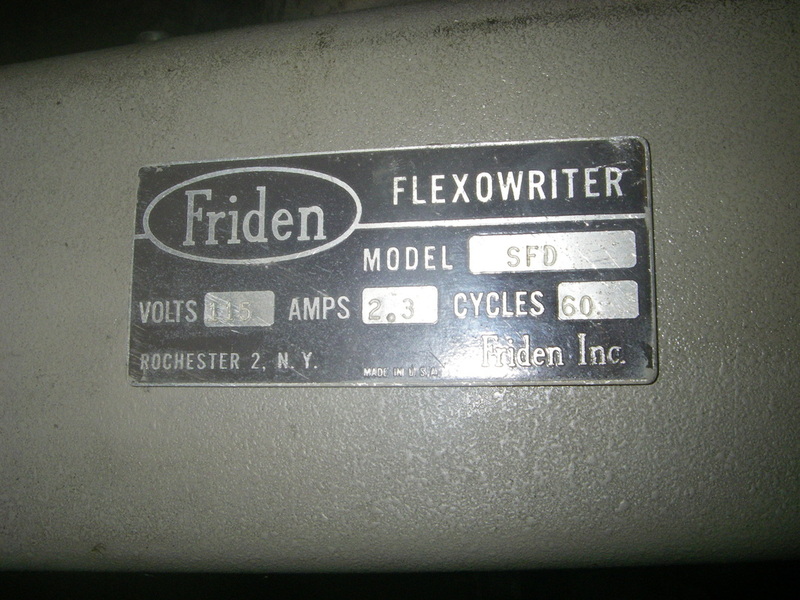 The Model SFD punches / reads 8-channel tape, which provides 256 possible code combinations. 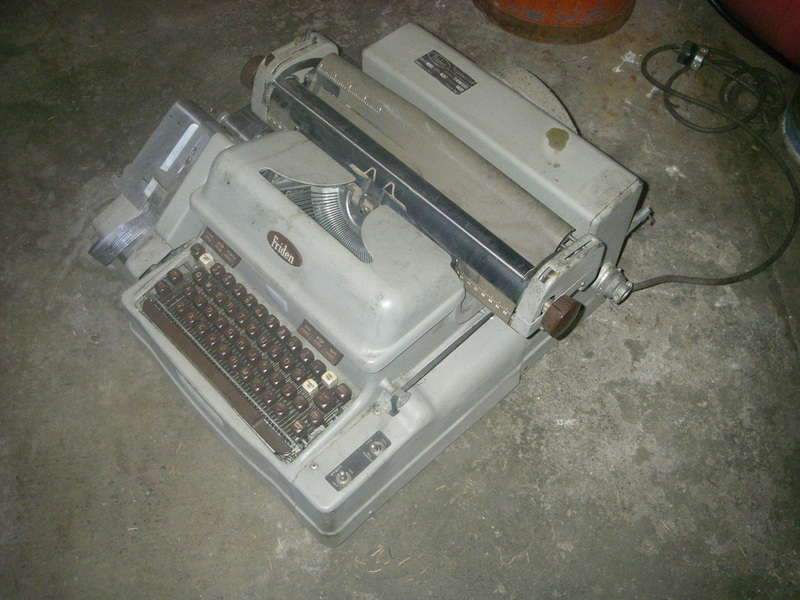 This model is equipped with an optional punch card reader (left front) and parity check to help prevent errors. 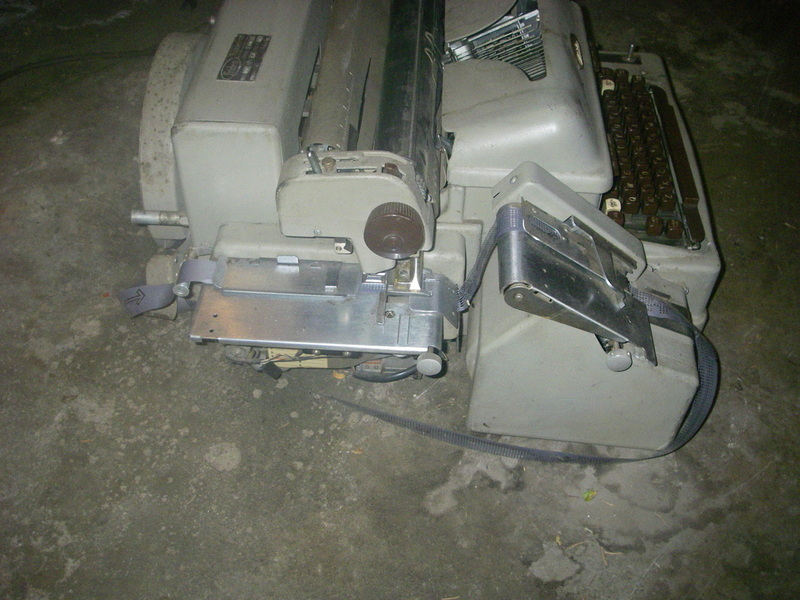 The Flexowriter will punch code in tape when typed and will type letters and characters read from punched tape code from either punch cards or a paper tape roll. 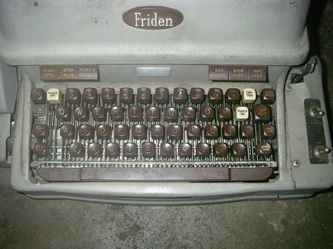 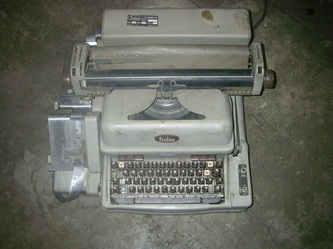 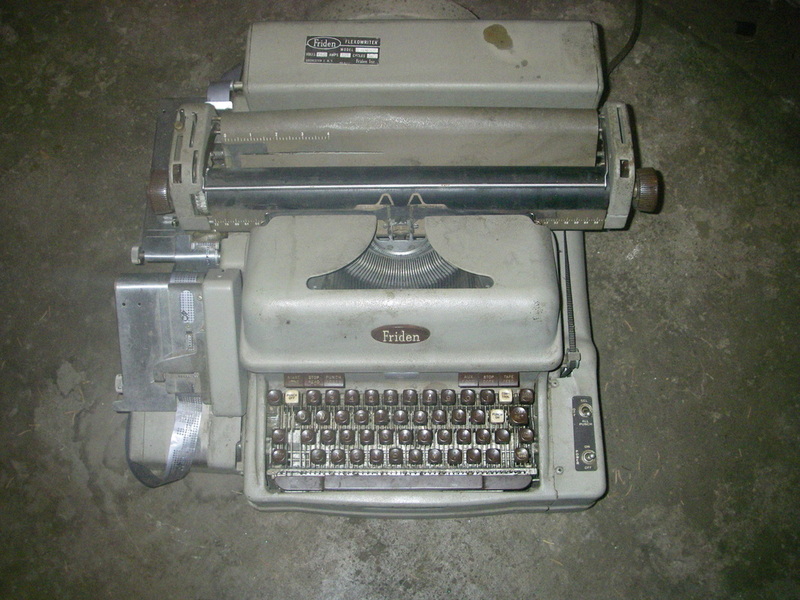 The Friden Flexowriter was one of the first and most important teletype peripherals, sending and receiving data from early computing systems as an Input/Output (I/O) unit. 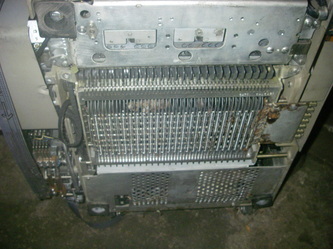 Below are pictures before refurbishment and not working.